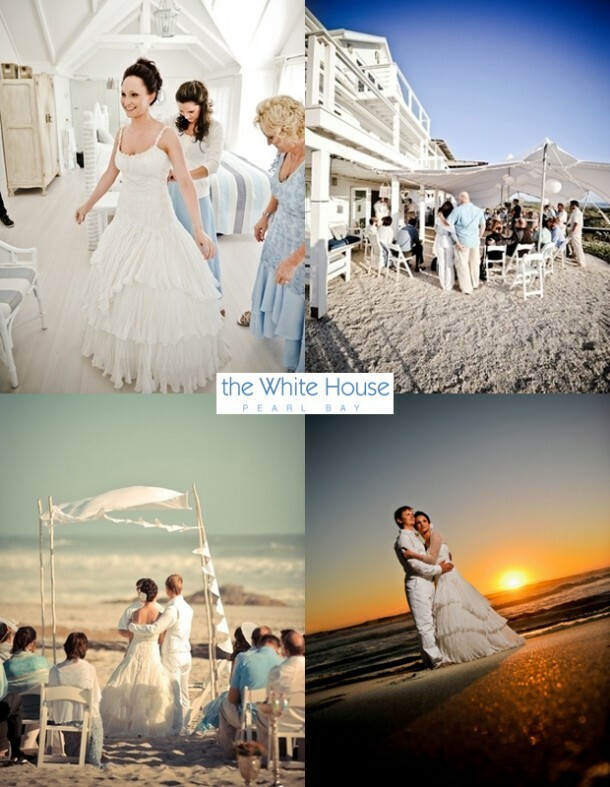 The White House in Yzerfontein is the perfect setting for weddings … this location provides an exclusive base for a completely unique and private wedding for you and your guests. Utilize this beautiful location for your wedding photos and preparation of bridal make-up, hair and dress. The White House can comfortably host 30 guests for an intimate candlelit wedding., or, for an indoor / outdoor flow wedding, there is space for 60 guests on the lower floor which opens out onto a large shelled area which can be enclosed with a Bedouin tent. The private boardwalk gives access to the beach for the wedding ceremony. Plan your own wedding or have our wedding planner personalise your special day. There are three wedding packages to suit individual requirements and budget. This exclusive beach villa also serves as an ideal escape for the newly married couple. Share a moment with your significant other and watch the sun set over the Atlantic ocean, whilst you sip champagne on a secluded candlelit beach. In this idyllic Honeymoon retreat you’ll be surrounded by natural beauty, free from all distraction. Only the sound of crashing waves will break the soothing silence. If you are interested in hosting your wedding here, see The White House Beach Villa for more info and to send an enquiry.